Greenies Canine Chicken Pill Pockets Capsules 15.8oz VALUE SIZE 60/pk. 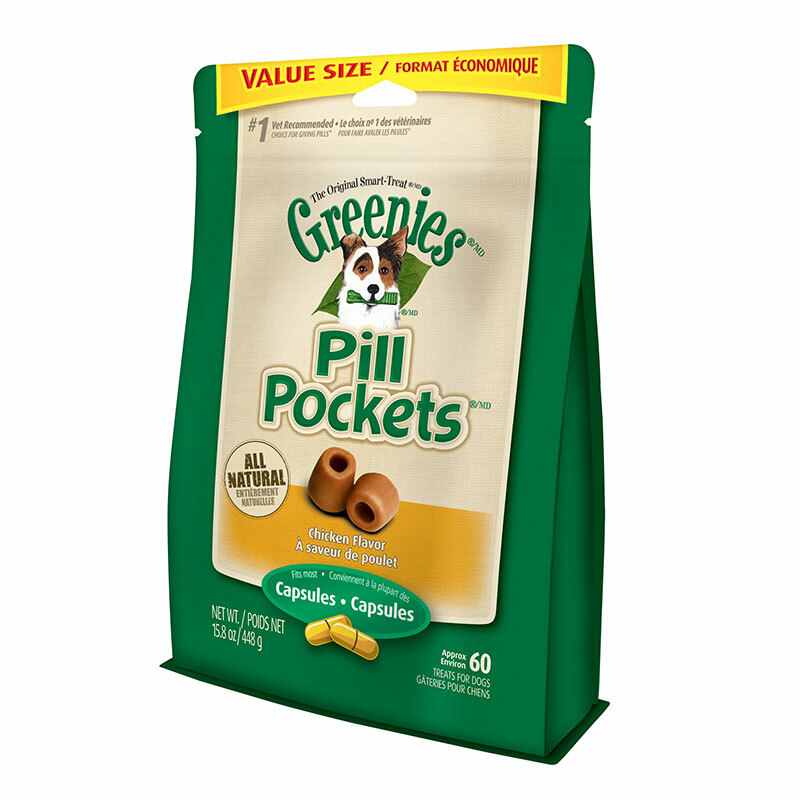 The Greenies Pill Pockets help you to give the pill or medication to your dog eliminating the stress, frustration and confusion. 60/pk of chicken flavor pill pockets for capsules. The Greenies Pill Pockets help you to give the pill or medication to your dog eliminating the stress, frustration and confusion. 60/pk of chicken flavor pill pockets for capsules. NEVER DRY PILL! I learned hard way. When a benadryl swelled, Cut off airway of my little diabetic. Pill pockets are great! My vets always have them in exam rooms.